Shadows play an important role in giving an image depth and dimension. A two-dimensional design can easily get a three dimensional look when an artist plays with shadows and lighting. And although the importance of shadows can be easily overlooked, its function in bringing out the beauty of the design cannot be easily undermined. 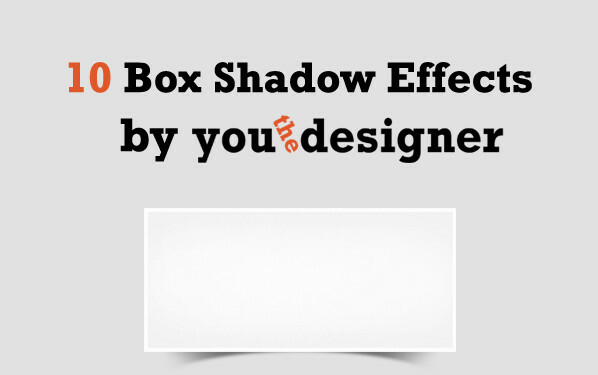 Having said this, I’ve created 10 box shadow effects that are really useful in giving more character to your designs, specifically if you’re designing a website, creating a slideshow, a presentation or if you’re just feeling creative and would want to experiment to kill the time. Do you have other freebies or resources you would want to get from us? Please let us know by leaving a comment below.